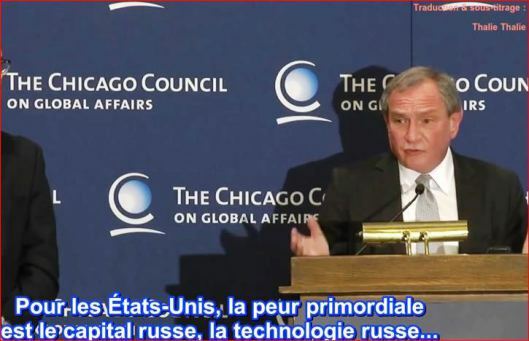 Excerpts from a speech of George Friedman, Founder and Chairman of the ‘The Chicago Council on Global Affairs’ (the Stratfor company for intelligence & analysis, also called the “CIA shadow”) at the Forum: “Europe: Destined for Conflict?”. In his speech at the Council he explains how Washington can maintain its dominance over the planet and also identifies potential enemies of the US. George Friedman said that the US does not have relations with Europe: “We have relations with Romania, France and so on. There is no Europe with which the USA have any relations”. “The US control all the oceans of the earth. No one had been able to do so. Therefore, we can interfere around the world, but no one can attack us. The control of the oceans and space is the basis of our power”, said Friedman in Chicago.